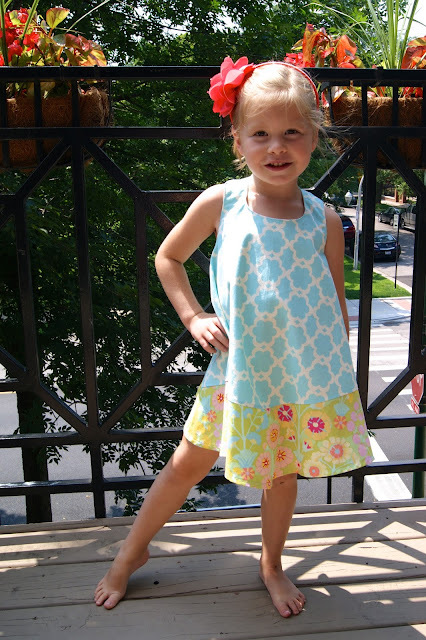 mimi & mack: One More Blue Skies Dress! Still loving the racer back and button . . . This Blue Skies dress is a size 3 (measures 20" long from top to bottom). Izzie is actually a size 4, so this is a little short on her. It is ready to ship and no orders will be taken. The dress is $35 (plus $4 shipping if out of Chicago). PLEASE E-MAIL to mimiandmack@yahoo.com if you're interested. Please no FB messages or posts (because I'm too unorganized for that)!